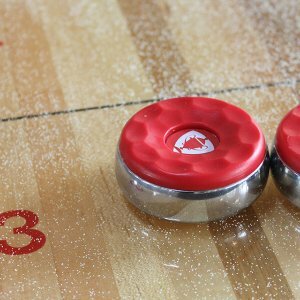 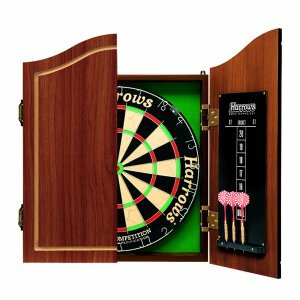 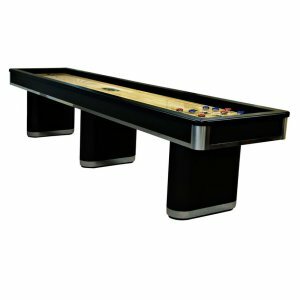 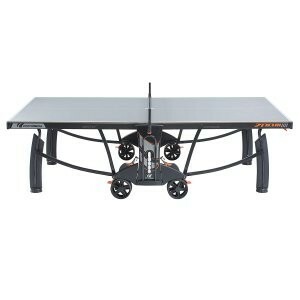 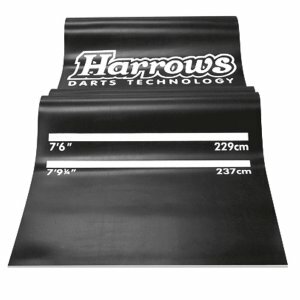 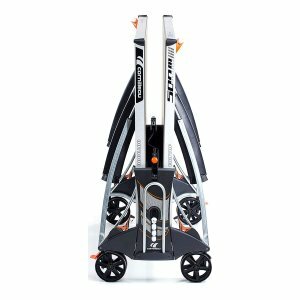 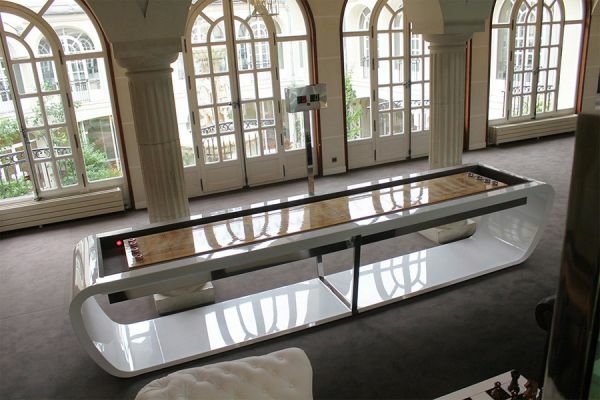 Categories: game tables 2nd line, Games Tables, Shuffle Board, Toulet. 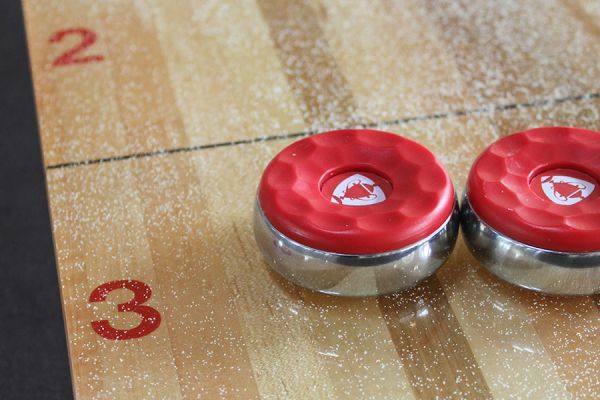 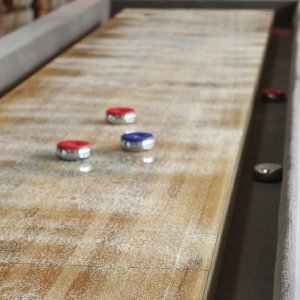 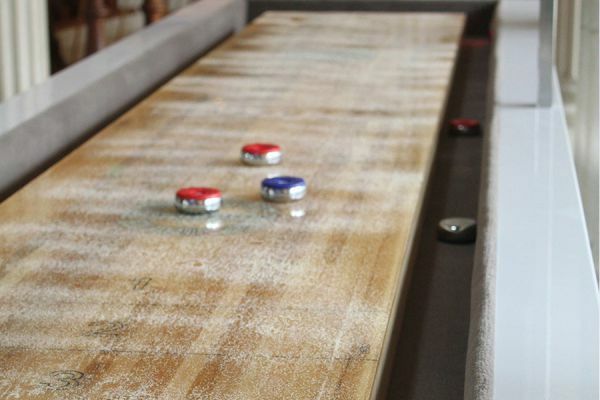 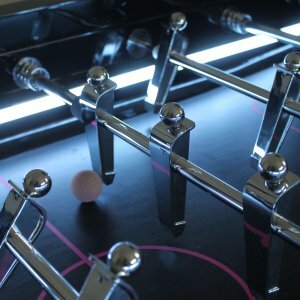 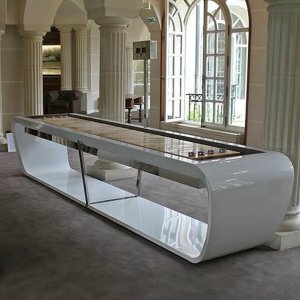 The BlackLight shuffleboard table gives you a new kind of leisure, while retaining the design of the BlackLight. 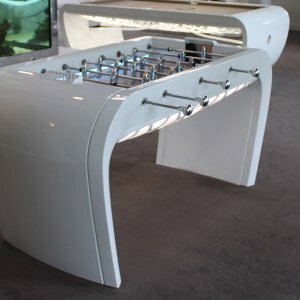 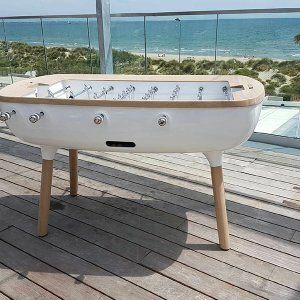 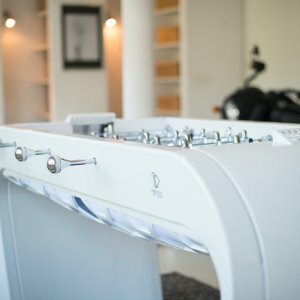 The table’s structure is made of steel, the body is painted the color of your choice, and the top is made of lacquered wood of official match quality. 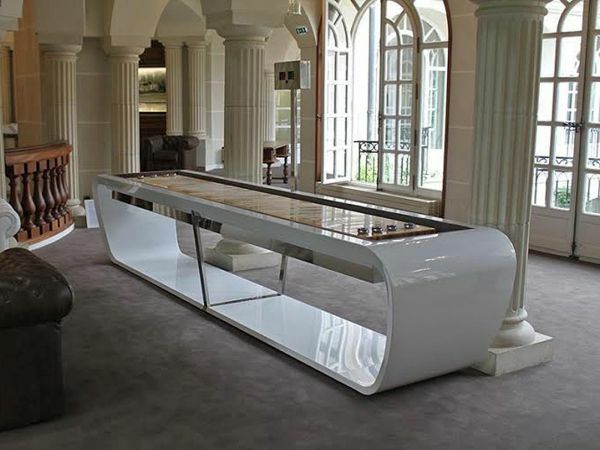 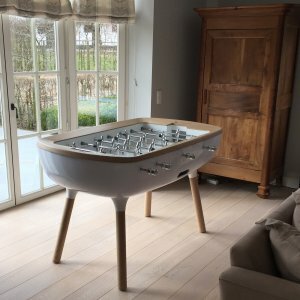 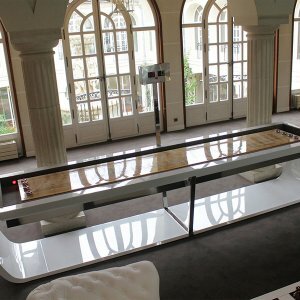 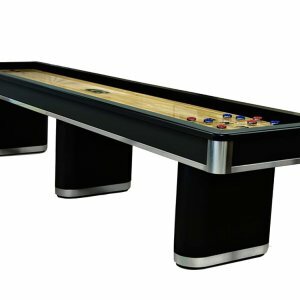 The BlackLight shuffleboard table is 5.1 m by 3.66 and is custom built to spec at the Billiard Toulet factory in Paris France.